The BJP government has no option but to support a review of the March 20 judgement lest it turns into a political hot potato ahead of the 2019 Lok Sabha elections. A crime is committed against a Dalit every 15 minutes. Six Dalit women are raped every day. Over the last ten years (2007-2017), there has been a 66% growth in crimes against Dalits. Further, data from the National Crime Records Bureau (NCRB) on which the Supreme Court’s March 20 judgment is based itself shows that rapes of Dalit women have doubled in the last ten years. NCRB data also says that chargesheets were filed in as many 78% cases, which means the argument that false cases are being filed out of ‘vengeance’ is flawed. Though shocking, these figures are only the tip of the iceberg of the actual number of incidents since most Dalits generally do not muster enough courage to register cases for fear of retaliation by the higher castes. Even on relatively rare occasions in which a case reaches court, the most likely outcome is acquittal due to caste biases at every stage of investigation and trial. Due to these biases, Dalits, the poor and the minorities are over-represented on the list of death rows. Studies have shown a similar pattern in respect of black convicts in the US. Strangely, Justice Adarsh Goel and U.U. Lalit adopting ‘purposive interpretation’ and quoting B.R. Ambedkar’s speech on the importance of the word ‘fraternity’ in the constitution’s preamble have diluted the stringent provision of the SC/ST (Prevention of Atrocities) Act. Ambedkar wanted fraternity because of religious and caste conflicts. What non-Dalits or upper castes should do to promote fraternity is not clear from the judgment. Rather, it casts aspersions on Dalit victims saying that they file fake cases either out of vengeance or due to the greed of monetary compensation. This is contrary to Section 15 of the PoA which specifically mandates that a victim is to be treated with “fairness, respect and dignity”. In the Subhashchandra Mahajan judgment of March 20, 2018, the court looked a little uncomfortable with the provisions of the PoA when it said that the legislature never intended the Act’s use as an instrument to blackmail or wreak vengeance. Law should not result in caste hatred. The court without mincing words, said that “PoA should not result in perpetuating spread of casteism which adversely impacts societal integration and constitutional values.” The court did not appreciate that the PoA Act had to be enacted in response to caste hatred, which is the single-most important factor behind divisions in our society. We have low conviction rates in terror crimes as well. False terror prosecutions, too, have destroyed hundreds of innocent lives but will we similarly dilute stringent provisions of those laws as well? The decline in the conviction rate for crimes against Dalits has created an impression that this may be driven by filing of false cases. But data from NCRB does not seem to support this contention. In fact, the share of false cases under the PoA Act has declined over time (2009-2015). The conviction rate, too, has improved from 23.8% in 2013 to 28.8% in 2014. In any case, comparing the conviction rate of hate crimes under PoA with that of ordinary crimes is neither rational nor reasonable. The court made its intention of diluting the PoA clear when on the basis of selective analysis of crime in India data, as highlighted above, and a few judgments from Gujarat, Tamil Nadu and Maharashtra high courts, it said it in so many words that “we have seen working of PoA in last three decades and its abuse has been judicially acknowledged.” A few judgments cannot be substitutes of authentic empirical research. Crimes against SCs and STs are fundamentally hate crimes that demonstrate an extreme form of discrimination and prejudice. Accordingly, the Rajiv Gandhi government had enacted the much needed Scheduled Castes & Scheduled Tribe (Prevention of Atrocities) Act, 1989 in furtherance of the abolition of untouchability and equality provisions in the constitution. Parliament also noted that when Dalits assert their rights, vested interests try to cow them down and terrorise them. The Supreme Court completely ignored this harsh reality and got carried away by the argument of non-Dalits who are accused of committing crimes against Dalits. 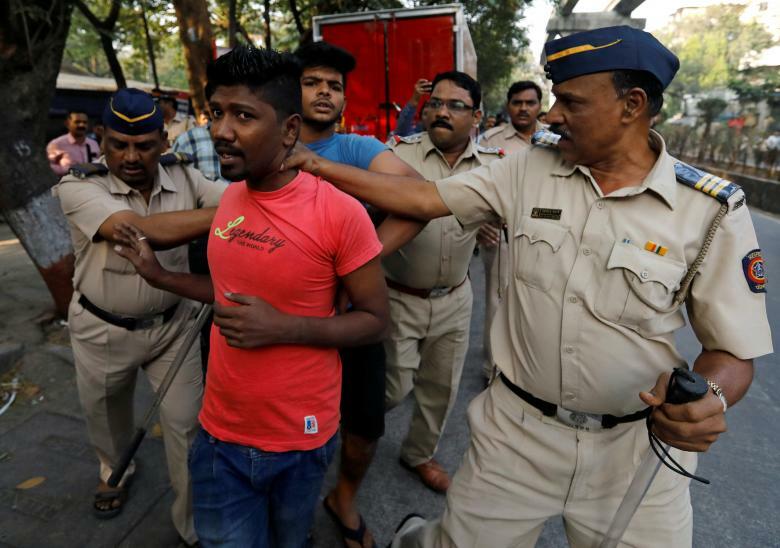 Keeping in view the special nature of crimes against Dalits in Section 18 of the PoA Act, parliament laid down that the beneficial provision of anticipatory bail under Section 438 of the Code of Criminal Procedure, 1973 will not be available to an accused under the PoA Act. The constitutionality of the exclusion has been upheld by the Supreme Court. Similar exclusion is also there in a number of other statutes. The constitutionality of such exclusion in TADA (Terrorist and Disruptive Activities (Prevention) Act) was upheld by a five-judge bench of the apex court in the Kartar Singh case, which the March 20 judgment has noted just in passing. When a smaller bench goes against judgments of a larger bench or draws a different inference from such judgments, a more detailed analysis of the larger bench judgment is required. Yes, courts may read down a statutory provision but only in appropriate cases and with very sound arguments. The mere possibility of misuse of the provision is not a valid ground to go against the legislative intent. In case of PoA, Parliament has clearly highlighted reasons for enacting this special law. The Supreme Court has deviated from established judicial opinion on this subject. It has clearly said that the anticipatory bail provision for the first time was introduced on the recommendation of the 41st Law Commission in 1973 and is merely a statutory right and not part of the right to life and personal liberty under Article 21 of the constitution. It was not there in earlier Code of Criminal Procedure (CrPC). Thus, anticipatory bail is not a fundamental right. A few state amendments to Section 438 of the CrPC also exclude anticipatory bail in concerned states. Anticipatory bail has to be an exception and that’s why the parliament has laid down that it can be granted only by the sessions court or high court. Accordingly, in some cases, the Supreme Court had refused to grant to bail even to those who had termed someone as Harijan and Dhobi. Justice Goel’s judgment is largely quoted from earlier judgments and he has given too much space to arguments in favour of those accused of offences against Dalits. He has quoted at length some judgments of the Gujarat high court. On Tuesday, too, there was a matter in the Supreme Court against the grant of anticipatory bail given by the Gujarat HC to a builder under the PoA Act. The Chief Justice of India did not stay the order but merely issued a notice. Interestingly, Gujarat is the most notorious state in terms of low conviction rate under the PoA and that’s why shameful incidents like Una happened where the perpetrators were not fearful of law and, therefore, courageously video-recorded their hate crime and made it viral. The conviction rate in respect of crimes against SCs in Gujarat is six times lower than the national average – 3.4% – while the national average is 28.4% i.e. one conviction for every eight in the country. Against STs, it is one against 21 cases – 1.8% against the national average of 37.9%. The Gujarat model on this issue is really bad. Only three small paragraphs (27, 28, 29) or less than one-and-a-half pages have been devoted to arguments (in the March 20 judgement) in favour of the provision. Even government of India’s arguments by the Additional Solicitor General were not considered worthy of more than one paragraph. It is common knowledge that rightist ideology is against the poor, women, minorities and Dalits. The withdrawal of criminal cases in the Muzaffarnagar riots and the University Grants Commission directive to implement reservation taking the department/centre as unit and delay in payment of SC/ST scholarships are the latest examples of this. This ideology favours capital punishment and has always opposed the rights of the accused – all in the name of victims. But in case of SC/STs, rightist ideology is more interested in protecting the accused. Interestingly, in the very first line of the latest judgment, after noting the arguments, the court unequivocally asserts that the power to issue appropriate orders or directions for enforcement of fundamental rights is part of the constitution’s basic structure. Thus, the intention of judges was clear at the very outset that in spite of the explicit provision in PoA, they were going to issue directions making even registration of FIR under PoA hugely difficult and dependent on preliminary inquiry. Precedents about the law-making powers of judges have also been cited. It declared that the “court cannot adopt passive or negative role of bystander if violations of rights is observed”. It is heartening to see the court so committed to civil liberties. Its privacy judgment has been widely applauded but the real test will be the Aadhaar judgment. No one can contest Justice Goel’s observations that “liberty of one cannot be sacrificed to protect another.” But then the history of exploitation and systematic discrimination of Dalits by others cannot be negated either. 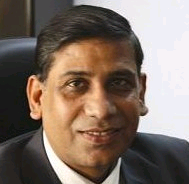 Observations like the “Atrocities Act cannot be converted into charter for exploitation or oppression by unscrupulous persons or by police for extraneous reasons” will mean that victims of atrocity crimes will now think twice before filing cases because neither will an FIR be filed immediately nor will the perpetrator be arrested. It is strange that the court did not realise the fact that for the underprivileged, registration of an FIR itself is a huge challenge as police officers routinely refuse to do so. The apex court had to pass several orders making the registration of FIR mandatory. True, the learned judges have explicitly said that exclusion of anticipatory bail is to be applied in genuine cases, not false ones, as law has to protect the innocent and punish the guilty. True, the court has raised a pertinent issue that in some other laws restrictions on bail applies both to anticipatory as well as regular bail but not in PoA under which the very same court may grant regular bail immediately after arrest. But that does not mean that parliament really wanted to give anticipatory bail in offences under the PoA Act. Once a person has been arrested and police in its interrogation has found no case against him or found the complaint as false, the accused should certainly get regular bail. Taking judicial activism forward, Justice Goel has again laid down guidelines though the statutory provision against anticipatory bail is crystal clear. Similar guidelines issued by him few months back in complaints of cruelty were meant to protect the perpetrators of crimes against women. A bench headed by the CJI within months expressed doubts about the correctness of those guidelines and observed that the job of a judge is not to legislate. Such judicial creativity was, however, not shown by Justice Goel to protect the rights of Hindu women to inherit ancestral property in Prakash vs Phulwati (2016) in Karnataka high court, which had given retrospective operation to the Hindu Succession (Amendment)Act, 2005. But the court in the second part of its judgment, though no Muslim woman was before it and the case was not about Muslim law, gave a strange direction for the filing of suo motu PIL to examine discriminatory provisions of Muslim Personal Law. This PIL eventually led to the progressive triple divorce judgment of August 22, 2017. Moreover, examples of earlier guidelines issued by the court clearly show that through the guidelines the court had been trying to protect helpless and hapless citizens, such as the homeless requiring night shelter during chilly Delhi winters, victims of trafficking of women and children, child malnutrition etc. In other cases like Vishakha, court issued guidelines for the protection of victims of sexual harassment at the workplace because there was no statute dealing with it and thus the court tried to fill the gap. For instance, on Tuesday, a three-judge bench led by the CJI has issued detailed guidelines in respect of khap panchayats as there is no specific law dealing with honour killings and other regressive judgments passed by them. But the issuance of guidelines to undo legislative intent or the clear provision of PoA is clearly beyond judicial powers and an encroachment of legislative domain. Moreover, here we are dealing with the accused of crimes under the Atrocities Act. These atrocities against Dalits are rooted in our caste system. Let us look more closely at the nature of these crimes. A 2016 amendment to PoA has made certain acts reflecting caste discrimination and prejudice as crimes. These offences do need a special dispensation and, therefore, an ordinance was brought in by the Congress government to amend PoA. The BJP government is to be appreciated for getting it converted into an Act. Do we put inedible or obnoxious substance into the mouths of non-Dalit citizens? Do we dump excreta, sewage, carcasses, obnoxious substances in the premises or neighbourhood of non-Dalits etc.? Do we garland with footwear or parade naked or semi-naked non-Dalits? Do we forcibly remove clothes, tonsure head, remove moustaches of non-Dalits? Do we compel non-Dalits to dispose or carry human or animal carcasses or to dig graves or indulge in manual scavenging? Do we obstruct the performance of official duties by a non-Dalit panchayat official? If the answer to these questions is a big ‘no’, then denial of anticipatory bail to those accused in these offences is based on sound reasoning. Do we refuse to work or hire or deal with non-Dalits in pursuance of economic boycott? Do we corrupt or foul water or any source of water of non-Dalits? Do we prevent non-Dalits from wearing footwear, new clothes or prevent them from riding a bicycle or motorbike? Do we prevent non-Dalits from taking out a wedding procession or mounting a horse during the procession? Do we stop or obstruct non-Dalits from entering places of worship? Due to the special nature of these crimes, monetary compensation has been provided under the Act. Similarly, though the country does not have a witness protection law, under PoA the victim, informant, dependants of victims and witnesses have to be protected. Similarly, the presumption of innocence to some extent has been reversed under Section 8 of the PoA. Similarly, special courts have been established. Just like racism, untouchability is based on ‘descent’. Former Prime Minister Manmohan Singh was candid enough to equate it with apartheid. Extreme marginalisation and persecution is a harsh reality of Dalit life even after 70 years of our independence. 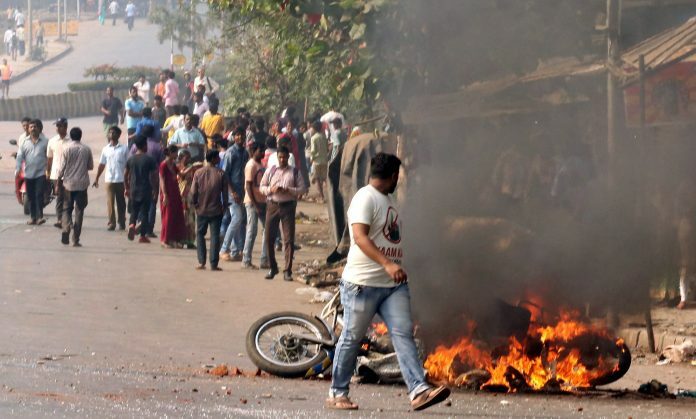 The reality is that even today any assertion of rights by Dalits leads to backlash from the higher castes resulting in mass kilings, gang rapes and putting Dalit houses on fire. TV anchors sitting in Delhi and Mumbai may not appreciate the gravity of untouchability as Dalits have almost no representation in print or electronic media, which are fully under the control of upper castes. A 2006 empirical research by Ghansham Shah and Sukhdev Thorat of 565 villages across 11 large states found widespread practice of untouchability in a significantly large number of villages. Moreover, there is a burden of a ‘stigmatised ethnic identity’ that even better-off and educated Dalits continue to live with. Justice Kannan was trying to raise those concerns in the higher judiciary but in over-enthusiasm he went overboard and had to be punished for contempt of court. As far as the facts of the case in hand are concerned, the court was absolutely right that an adverse entry by non-SC officers in itself as to the character or integrity of a Dalit employee or routine denial of sanction of prosecution may not amount of a crime under PoA. But then, in this case, the accused was indeed granted anticipatory bail. But his petition for quashing criminal proceedings under Section 482 was rejected by the high court, which clearly noted that in spite of the possibility of misuse of PoA, its penal provisions cannot be faulted as it will send wrong signals to the down-trodden and backward sections of society. Unfortunately, the apex court has preferred to send wrong signals. The court looked more interested in protecting the public servant, as what should be just and reasonable procedural safeguards for public servants accused of an offence under PoA, was framed as a major issue. The court clearly said that public servants as well as others may be blackmailed and, therefore, safeguards are necessary. It said that “by way of rampant misuse complaints are largely being filed against public servant/ judicial officer/quasi-judicial officer with oblique motive for the satisfaction of vested interests”. This is too loaded a statement against complainants of atrocities and overlooks the power dynamics of a caste-ridden Indian society. A long list of officials qualify as public servants under Section 21 of the Indian Penal Code. The court ignored the fact that in anticipating the hostile attitude of public servants against Dalits, Section 4 of PoA casts a specific duty on them to record an FIR as per the information given and assist a complainant in every possible way. Non-registration of FIR is punishable with minimum punishment of six months’ imprisonment, which may even extend to one year. In fact, Section 22 of PoA already protects public servants from all their actions taken in good faith and no suit or prosecution or other legal proceedings can be initiated against any public servant if he/she was acting in good faith. The court rightly emphasised presumption of innocence as the first principle of classical criminal law and said mere allegation by the victim cannot negate it. The court is also right in observing that arrest can only be made if there is ‘credible’ information and a police officer has ‘reason to believe’ that an offence has been committed. Certainly, arrest should not be mechanical and under our general law there is no mandate under law to arrest an innocent person. True, the court has said that exclusion of anticipatory bail should be limited to only genuine cases and it should be considered inapplicable where no prima facie case is made out. If an allegation is motivated, such exclusion will not apply. But then PoA is a special law and protection of general law may be legitimately denied under a special law. In case of conflict between general law and special law, it is the special law that prevails. In any case, as noted by the court, the Supreme Court itself has held in Hema Mishra’s case that a constitutional court is not barred by anticipatory bail in spite of statutory bar. To safeguard innocent persons against false implication and unnecessary arrest, the court has held that FIR is not to be filed without preliminary inquiry which must be completed within a week and report must give reasons when permission is given for registration of FIR. To further extend protection to those accused of crimes against Dalits, the court went on to say that even if preliminary inquiry is held and a case is registered, arrest is not necessary. Moreover the guidelines further state that no public servant is to be arrested without written permission of appointing authority and in the final stroke of compassion for the accused of crimes against Dalits, the court extended the benefit to other citizens as well and now they too cannot be arrested without the written permission of the district SSP. The decision will surely have a chilling effect on reporting of already under-reported crimes against Dalits. The court has not only gone against its own earlier judgments but also re-written Section 18 of PoA which excluded anticipatory bail, and Section 154 of Code of Criminal Procedure which mandates that FIR is to registered in every case of cognizable offence. On Monday, Ram Vilas Paswan’s Lok Janshakti Party filed a review petition in the apex court. The parliamentary standing committee on social justice, which supervises the implementation of PoA, is also likely to recommend a review of this judgment. The BJP government has no choice but to support a review as opposition parties in one voice are opposing this judgment. The BJP had already paid a heavy price for RSS supremo Mohan Bhagwat’s statement on reservation during the Bihar elections and it would not like to lose Dalit support in 2019. Bahujan Samaj Party leader Mayawati, now in alliance with Samajwadi Party in Uttar Pradesh, is also capable of converting this into a big issue. The author is Vice-Chancellor NALSAR University of Law, Hyderabad. The views expressed are personal.